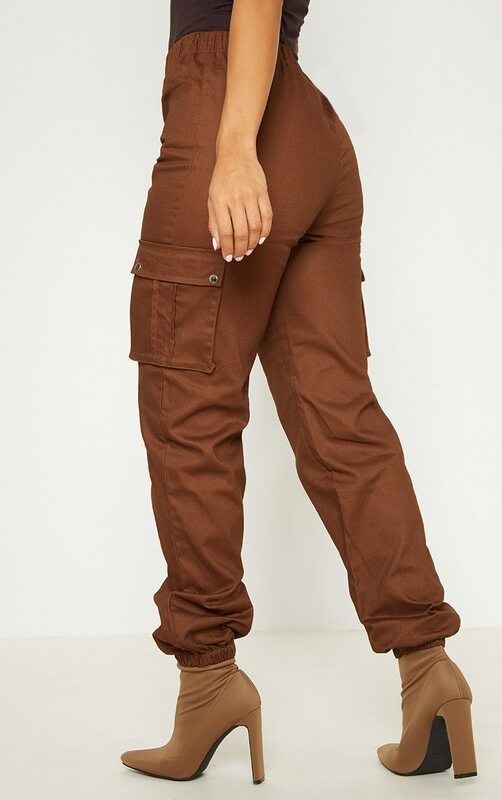 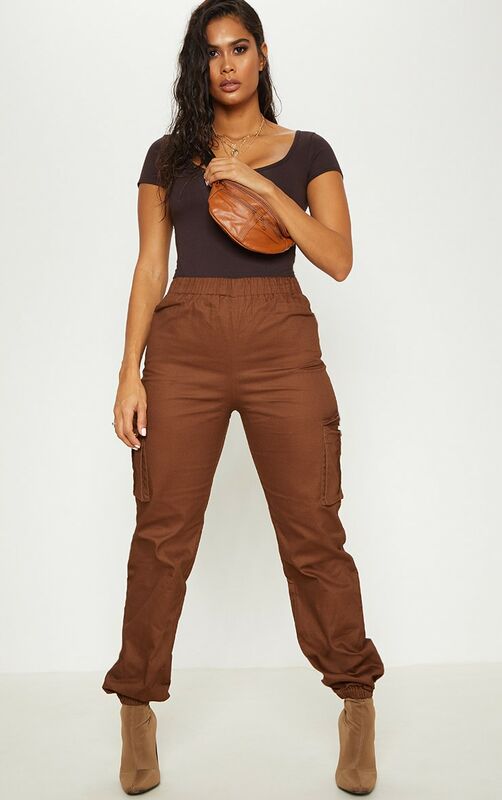 Girl, get that on trend look with these killer cargo trousers. 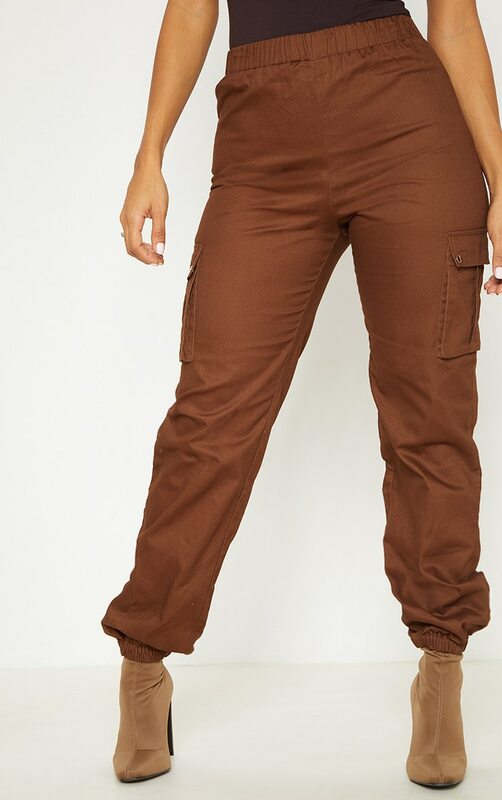 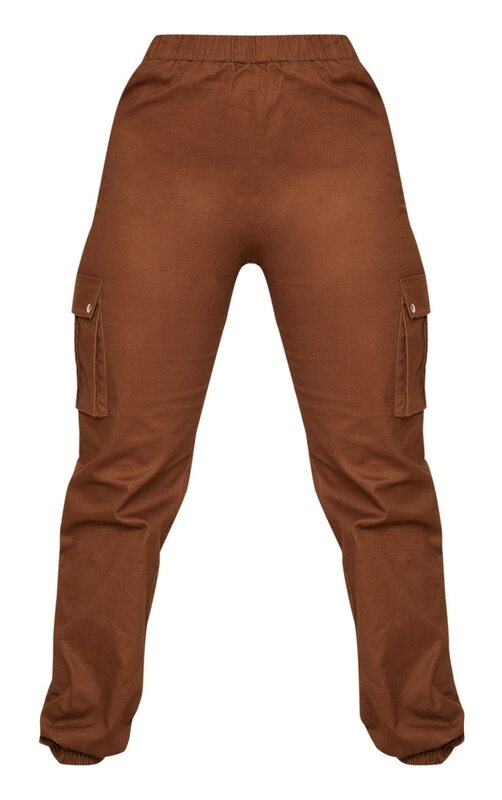 Featuring a chocolate material with pocket details, elasticated waistband and cuff, what's not to love? 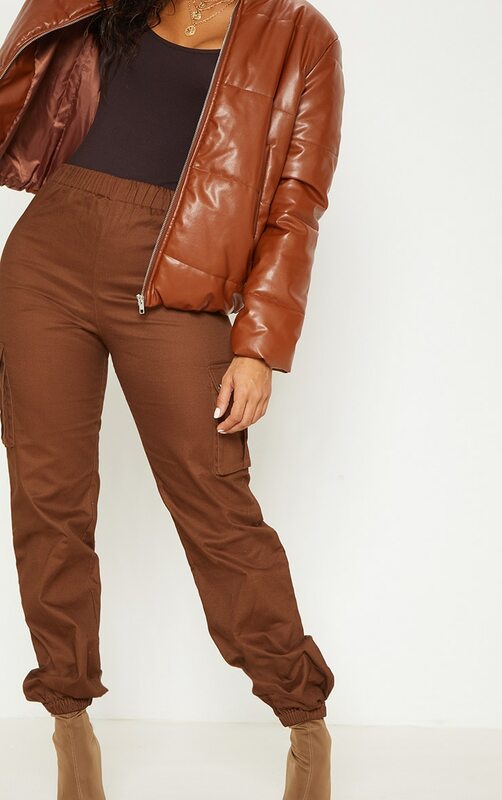 Team with a dark brown bodysuit and add a tan leather jacket with a matching bum bag for an on trend AW look we're loving.